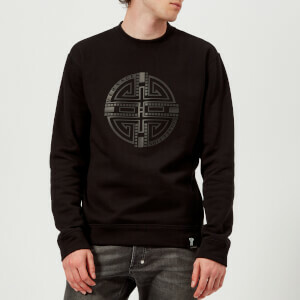 Black graphic sweatshirt from rebellious British designer, Vivienne Westwood. The men’s sweatshirt is cut from organic bio cotton and detailed with a striking 'Get a Life' print that references the idea that as humans we must stay focused to gain perspective. The design is finished with Vivienne Westwood’s iconic orb logo embroidery in metallic threads and a ribbed crew neck, hem and cuffs. 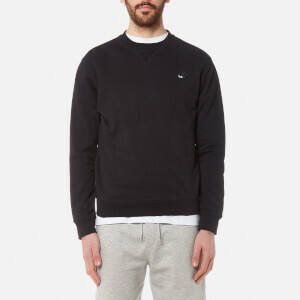 This sweatshirt is made from organic cotton which is produced entirely free of chemical pesticides. This process avoids the risks that chemicals pose to the environment and human health.